Specially harvested, raw, unfiltered, unpasteurized. Enriched with high potency genuine Ginseng Tea. 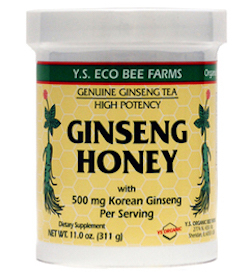 Contains 500 mg. Korean Ginseng per serving!